Your inquiry has been forwarded to Harry McKneely & Son Funeral Home. 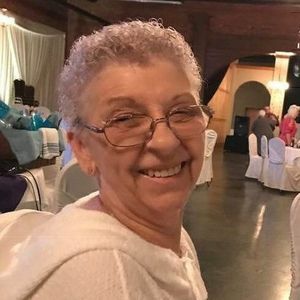 Kathryn "Kat" Elaine Bankston passed away on Monday, March 18, 2019, at the age of 68. She was born on Friday, August 25, 1950 in Independence, Louisiana. She was a resident of Tickfaw, Louisiana. Kat is survived by her husband, Olen Bankston; daughters, Bridget LaBorde (Andy) and Anna "Becky" Domiano (Johnny); 6 grandchildren, Drew LaBorde (Alana), Patrick Tatum (Leslie), Jordan Tatum (Rachel), Erika LaBorde, Brooke LaBorde, and Christian Domiano; 5 great-grandchildren, Brentley, Zach, Noah, Clayton Tatum, and Baby LaBorde; sister, Hallie Milton (James); brothers, James Kirkland (Mary) and Jake Kirkland; and her precious chihuahua, Blue. She was preceded in death by her mother, Anna Starkey Kirkland; father, Jessie Bradshaw Kirkland, Sr.; brother, Jessie Bradshaw Kirkland, Jr.; mother-in-law, Kathleen Cowan Bankston; father-in-law, Lloyd Olen Bankston, Sr.; and sister-in-law, Nan Bankston. Relatives and friends are invited to attend the Visitation on Thursday, March 21, 2019 at Harry McKneely & Son Funeral Home, 2000 N. Morrison Blvd. Hammond, Louisiana 70401, from 8:30 am until the Funeral Service begins at 12:00 pm. Interment will follow at New Haven Baptist Church Cemetery in Tickfaw, Louisiana. To view and sign the family guest book, please visit www.harrymckneely.com. If you would like to add additional photos, videos or other content to this obituary, it will need to be upgraded to an Eternal Tribute with the funeral home's assistance. Please click the link below for the funeral home's contact information. To the Best Sissy a person could ever ask for. You taught me so much as a child growing up and spoiled Me Rotten. You took me to Church every Sunday and made sure that I was Baptized. Thank you for that. I looked forward to going to that little, White House every weekend. I love you Sissy and nobody could ever take your place. See you soon. Barbara and I extend our deepest sympathy to the Bankston family on the loss of our dear sister in Christ, Kat. We take comfort knowing that she is with our Lord. We will be praying for our faithful brother, Olen, and the family, and we ask God to surround them with the Holy Spirit and to cover them with His love and peace. So so sorry for your loss Bridgette and Becky a long with all family. Our sympathies are extended to the Ffamily on the loss of their lloved one. We continue to pray that you receive the peace and comfort that only our Lord & Savior provides. So sorry for your loss. Our prayers are with you.